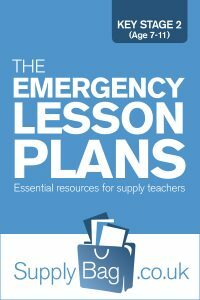 These emergency lesson plans for Year 4 DT are only to be used by supply teachers who are faced with no planning or easily accessible resources. Also to be used following the guidance notes here. Money Containers Survey of fastenings on the children's shoes and clothes. Tally chart of findings. Children to look at each one in turn and decided positives/negatives on use of each one on a wallet/purse. Storybooks Children plan how they would turn (for example) Baa, Baa, Black Sheep into a pop-up book for younger children. Plan on a sheet of A4 folded into 4 or 8 as a storyboard for each line of the nursery rhyme. Children to label and describe moving part for each line. Torches/Alarms/Lighting It Up Children design a lighting or alarm system for a pet/zoo animal/other creature. How can it be made safe? Who will be able to control it (the animals?) Will it need a movement/light/noise sensor or timer on it? Produce plan on A4 paper, labelled clearly. Don't worry that DT lessons have to be practical. They can be investigative, remember the design element. Think kinesthetic too… Can the children show you how their robot works with their bodies? In a group?